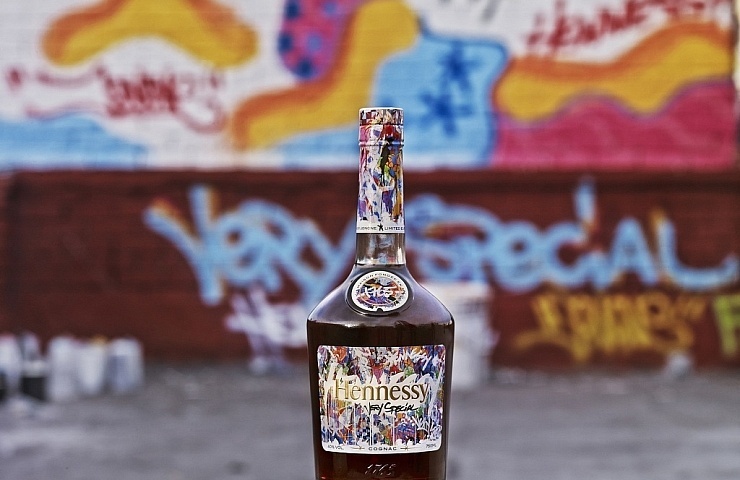 JonOne’s design is the latest addition to an ongoing series of collaborations between Hennessy and internationally renowned urban artists, including Scott Campbell, Ryan McGinness, Shepard Fairey, Os Gemeos and Futura. JonOne and Hennessy share a lot of the same characteristics “like Hennessy, he never stops and never settles.” Bernard Peillon, Chairman and CEO of Maison Hennessy. JonOne had never visited the town of Cognac, France. On his visit to Hennessy’s historic seat, the artist immediately connected with the place for its energetic atmosphere and passion for creation which became the inspiration for his design. This shared passion can be seen even in the design process itself, which mirrors the elaboration process of the cognac. 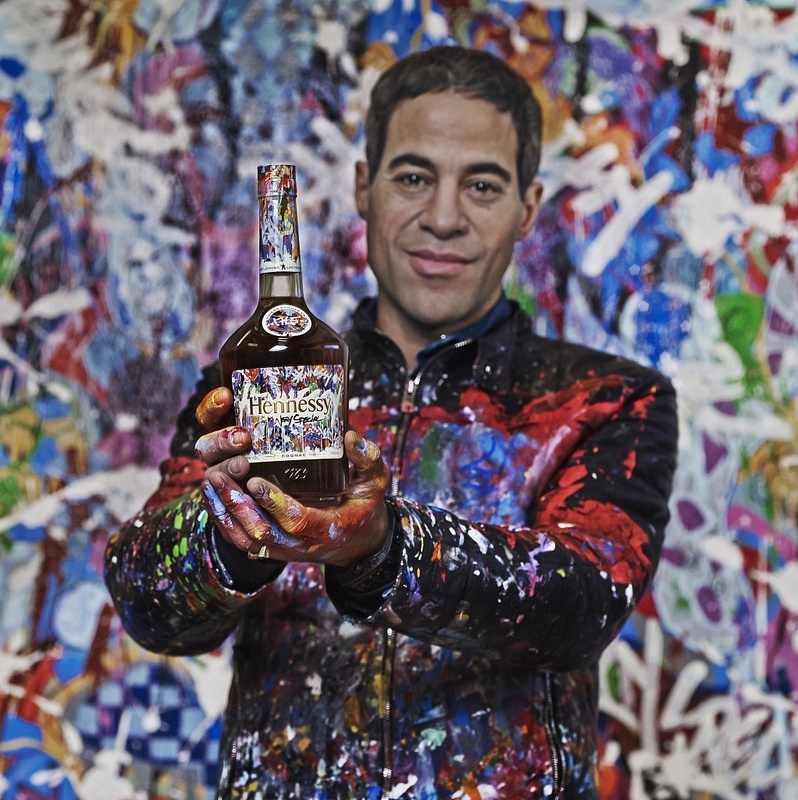 With an energy that has come to define his style, JonOne built layer upon layer of freestyle splashes of colour, intermixed with Hennessy’s own imagery, echoing the complex layers of flavours and aromas the Master Blender creates during the blending process. The result is a final work that captures the spirit of both artist and Maison.